Anyone who's eaten at IHOP, and even those who haven't, know it's known for pancakes. 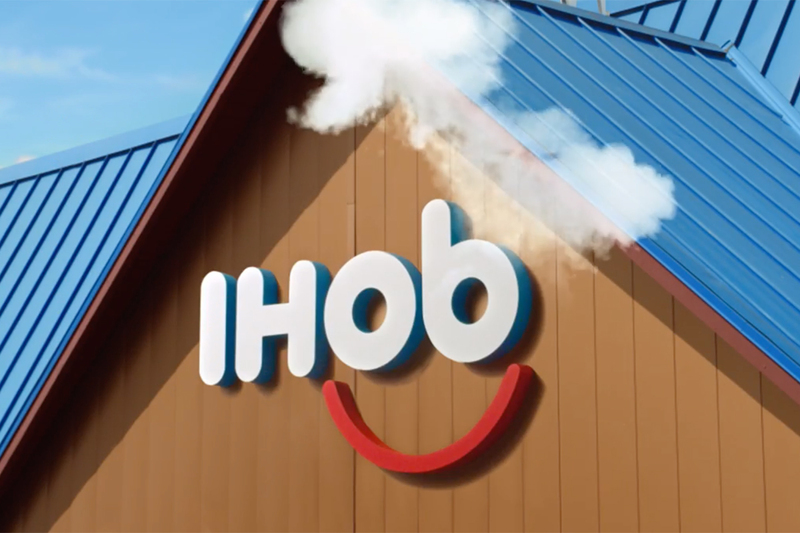 The restaurant's name, after all, is an acronym for its original name, International House of Pancakes. Now, after an all-you-can-eat pancake push that ended Sunday, its moving some of the focus from pancakes to omelettes. 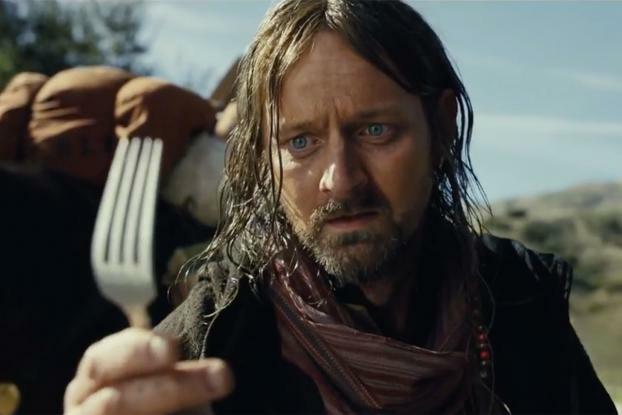 In the DineEquity chain's latest work from Droga5 a man and his horse come to a literal fork in the road. The wanderer contemplates which way to go to satisfy his hunger, flip flopping between pancakes and omelettes. The answer becomes clear thanks to a gentleman off to the side, who suggests going to IHOP. After all, IHOP's many omelettes come with pancakes on the side, leaving him no need to choose between savory and sweet. And, lucky for the hungry horseman, there's an IHOP right there. 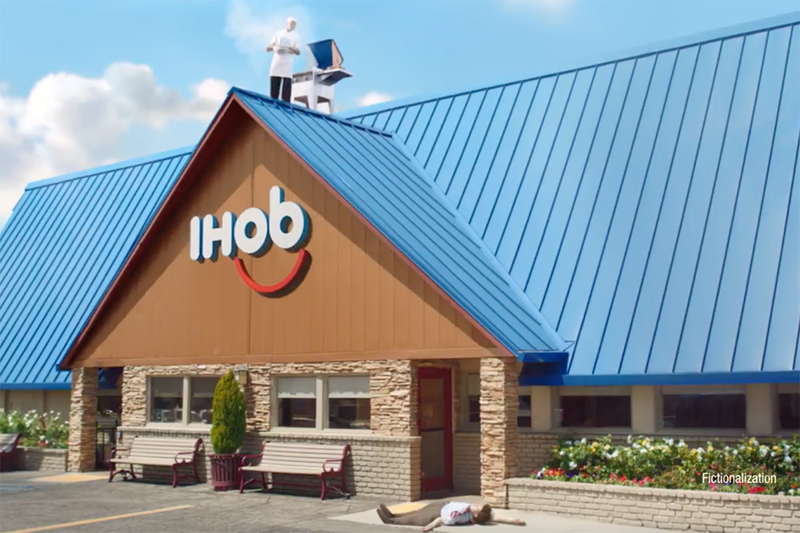 The "Wanderer" push is the family dining chain's second campaign from Droga5, which IHOP announced as its new creative agency of record in November. 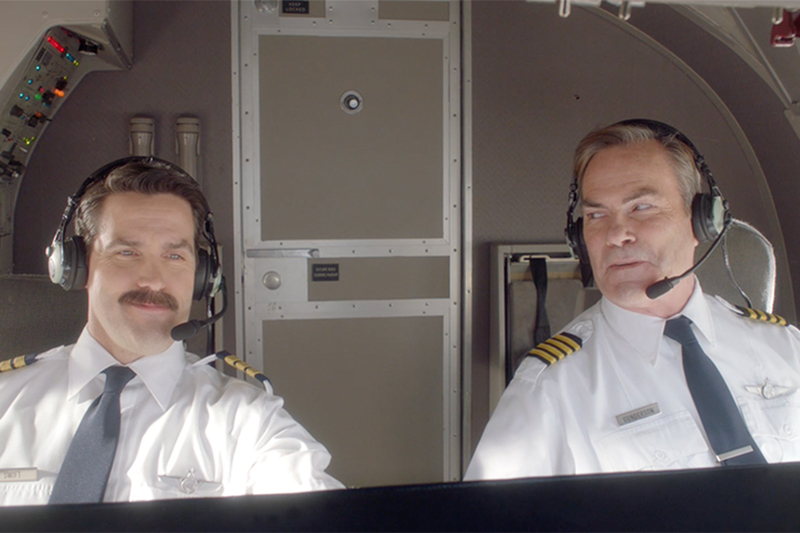 Droga5's first work on IHOP promoted the Jan. 2-Feb. 11 $3.99 all-you-can-eat pancake deal with a spot showing airline pilots replacing much of their usual preflight chatter with the word "pancakes."